Mowry Baden’s latest offering reiterated the artist’s preoccupation with how we position ourselves relative to sculpture, furniture, and other objects, and how such things position us. The three works on view played with the form, material, and meaning of one of the artist’s favorite subjects (and one of the most loaded pieces of furniture most of us know): the bed. 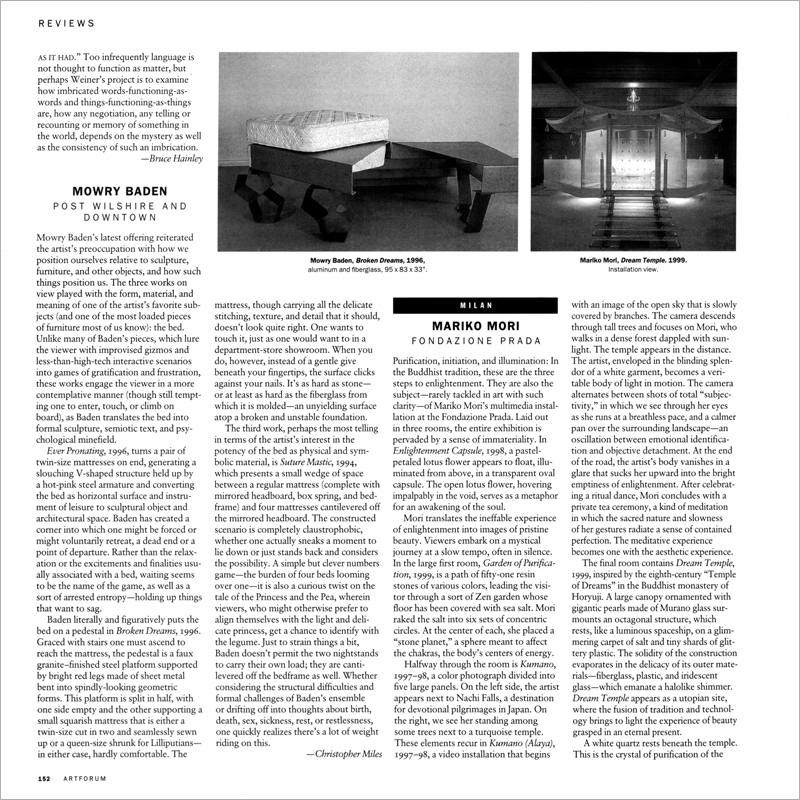 Unlike many of Baden’s pieces, which lure the viewer with improvised gizmos and less-than-high-tech interactive scenarios into games of gratification and frustration, these works engage the viewer in a more contemplative manner (though still tempting one to enter, touch, or climb on board), as Baden translates the bed into formal sculpture, semiotic text, and psychological minefield.